Let Granite Buckles help you express your style! These whimsical belt buckles complement or complete your style. Each is handcrafted and can be made to order. The buckles are interchangeable with special snap leather belts! Start your collection today! 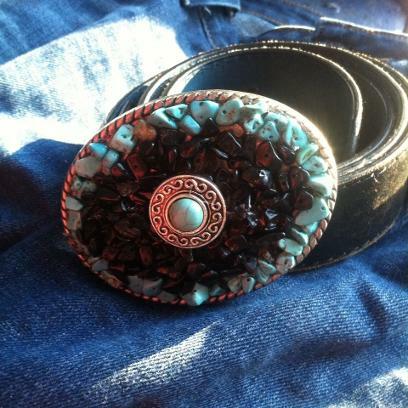 Each belt buckle features a stone or bead background which supports a special design element. Choose a leather belt to snap into all your favorite Granite Buckles!